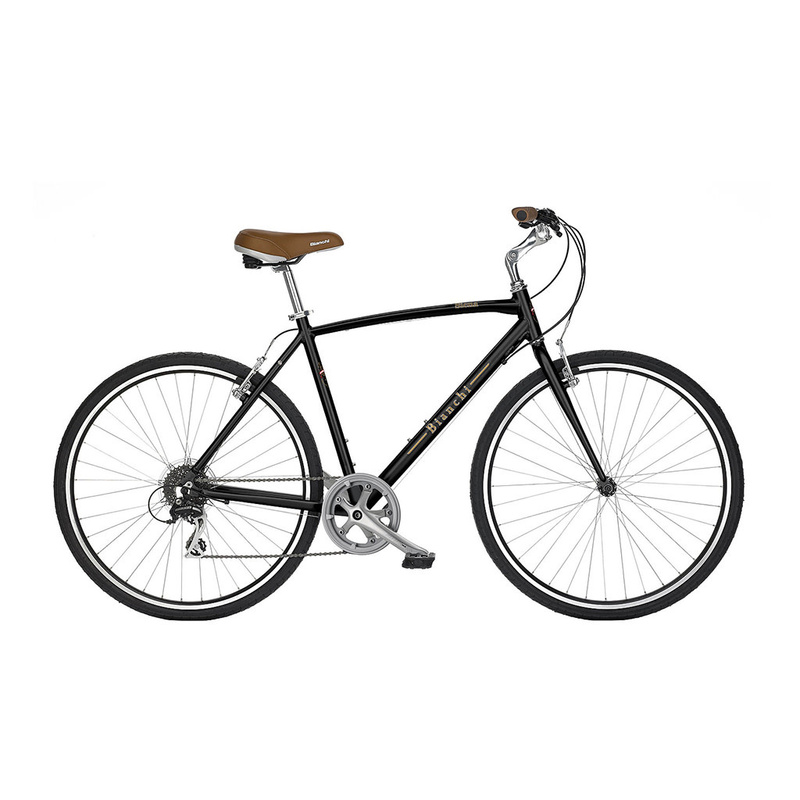 The Bianchi Siena Gent hybrid bike is ideal for the rider who appreciates quality, value, and a simple to use component package. Size: * SM - 16" MD - 18.5" LG - 21" XL - 23"
A direct descendant of the original Cross Terrain Advantage model, the Siena is the choice for the rider who appreciates quality, value, and a simple to use component package. The Siena features a lightweight, double-butted, hydroformed aluminum frame, sturdy steel fork, and double-wall rims for durability. A wide, thick, spring-suspended saddle, ergonomic handgrips, and slip-resistant platform pedals maximize ride comfort. A single, simple Revo-Twist shifter matched to Shimano's reliable Tourney 7-speed drivetrain, paired with and a single ring crank provide 7-speeds for carefree cruising.